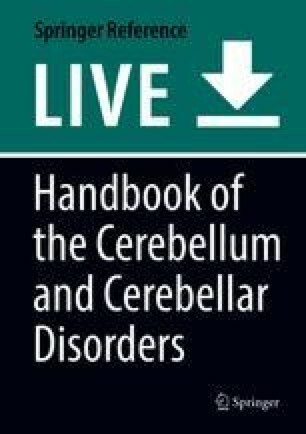 The cerebellar nuclei (CN) and the vestibular nucleus are the only recipients of output from the cerebellar cortex and provide the only final output pathway of cerebellar processing. This cortico-nuclear pathway is mediated entirely by GABA inhibition via Purkinje cell (PC) axons, yet conveys important information regarding the fine temporal control of behavior. Therefore, the interesting question arises of how one can control finely tuned CN output spike patterns with inhibition, challenging our understanding of neural coding. Using the technique of dynamic clamp, artificial inhibitory synaptic input patterns can be applied to CN neurons to explore this question. It was found that a population code in which a set of PCs pause at the same time creates an efficient code to precisely trigger individual CN spikes via disinhibition. Strong inhibition can paradoxically also evoke spiking, namely, by a mechanism of postinhibitory rebound, a pronounced property of CN neurons. Strong bursts of PC activity followed by pauses of firing create an ideal stimulus for rebound generation and are elicited by synchronous climbing fiber inputs to cerebellar cortex. Such a stimulus-evoked rebound could trigger specific behavioral responses, though direct evidence for this mechanism is currently lacking. Finally, there are also strong data and modeling results to support a traditional rate coding concepts in the PC to CN connection, which allows for an analog modulation of spike rate in the CN based on equally analog up-and-down modulation of PC spike rates in the opposite direction. These different coding principles are likely to operate in parallel and be important under different behavioral contexts. The conditioned eyeblink reflex in particular has been extensively studied with respect to learning mechanisms in the CN. Activity in the CN develops an increase just before the eyeblink during learning, and this CN activation depends on plasticity in the excitatory input to CN neurons by mossy fibers. Interestingly, this form of plasticity has been first predicted and then found to be controlled by the activity of inhibitory PC input. The cellular basis for this form of plasticity ultimately depends on a complex set of calcium signaling events during inputs in the required sequence of MF inputs followed by inhibition, followed by repolarization. A similar mechanism is proposed to also underlie the adaptation of vestibulo-ocular gain control coded by the vestibular nuclei. The involvement of similar or different learning mechanisms in the CN in more complex limb movement control remains to be determined, but behavioral and electrophysiological evidence points in the direction that the precise timing of predictive submovement activation in coordinated limb movements may be the predominant function of cerebellar output from the CN in this regard.